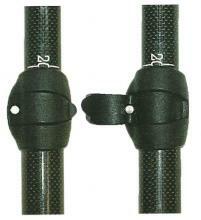 Easily modify the paddle´s length with a maximum security adjustment clip. Naish´s Adjustable technology has combined bold designs, choice of materials and functionality in one product. With this technology you get an all-rounded paddle, which you can lengthen for open water or shorten it for surfing. Predetermined height numbers embedded in the handle. Base material is resin, highly resistant to wear and weather.